Once the primer had cured, it was time to make some more progress in section 06-04. This is the first real riveting that have will have done on this project, so I took my time to make sure I understood the sequence, rivet type and location. I needed to experiment with the rivet squeezer to squeeze the AD4-7 rivets to the hinge and rear spar assembly. I’ve read that continuing to reduce the gap is not give a better squeeze so I changed the set to the 1/8 flush set on both sides to ensure that the most power was being delivered on such a long rivet. Riveting the rear spar assembly (VS-803PP + VS-808PP) turned out to be relatively straight forward with the squeezer. 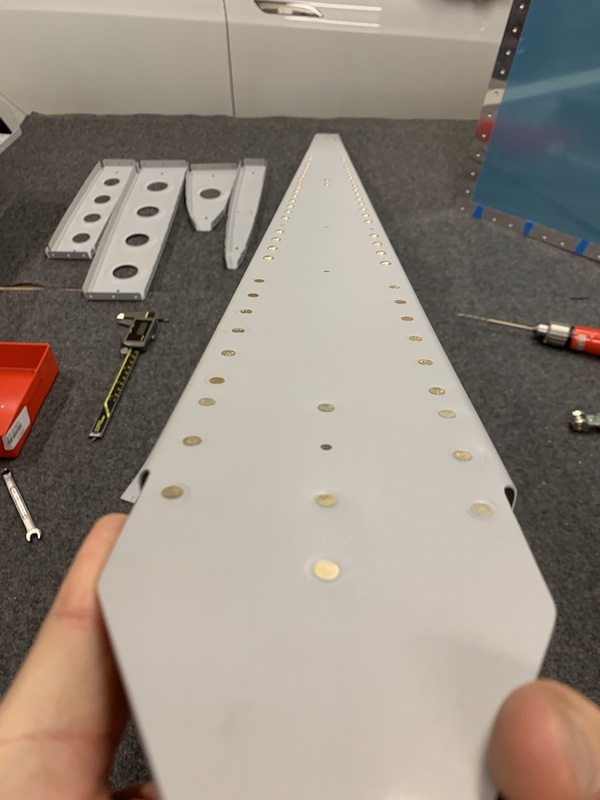 The next step was to rivet the front spar and the ribs together (not the rear spar).